If you spent a childhood with your head in the Care-a-Lot clouds, then boy, do we have the collection for you. 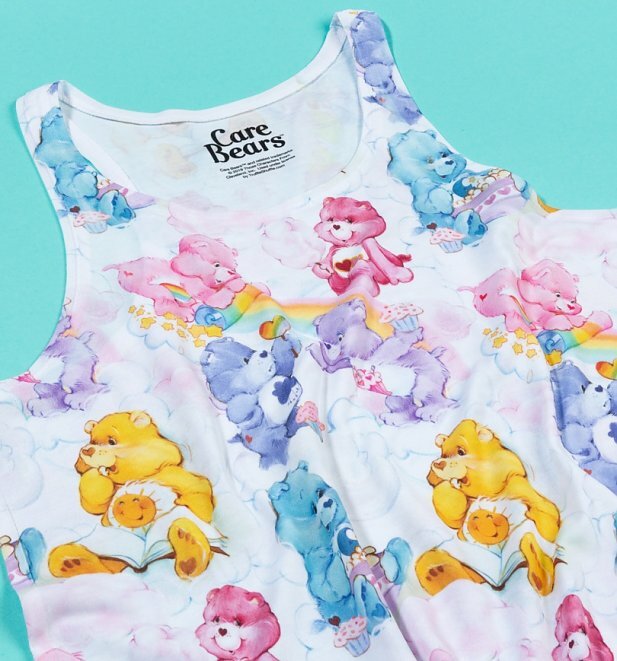 We've teamed up with three ultimate Care Bears fans to create a totally adorable, exclusive collection of dreamy tees and tops, inspired by favourite 80s furries and warm, fuzzy memories of the Kingdom of Caring. Get ready to relive the magic of these super-cute cuddlies - Care Bear Stares guaranteed! 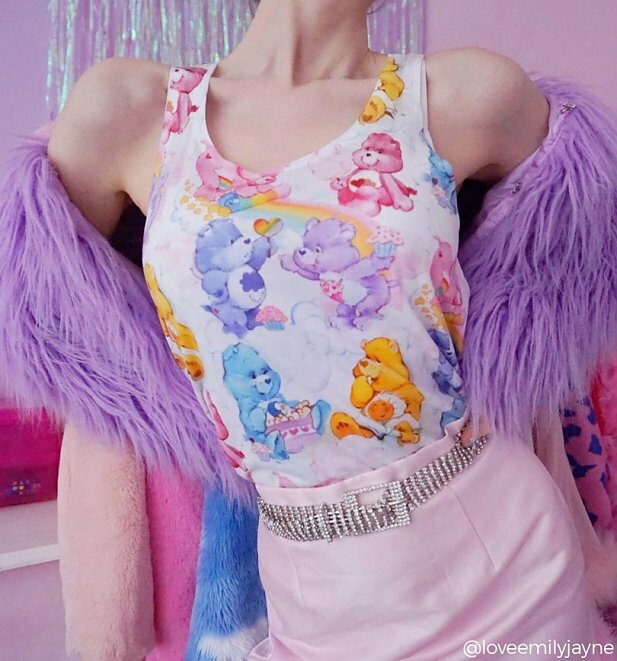 A real sweet treat for old school Care Bears fans, this gorgeous vest was created in conjunction with Emily Jayne of LoveEmilyJayne, one of our fave 90's/00's pop culture enthusiasts! 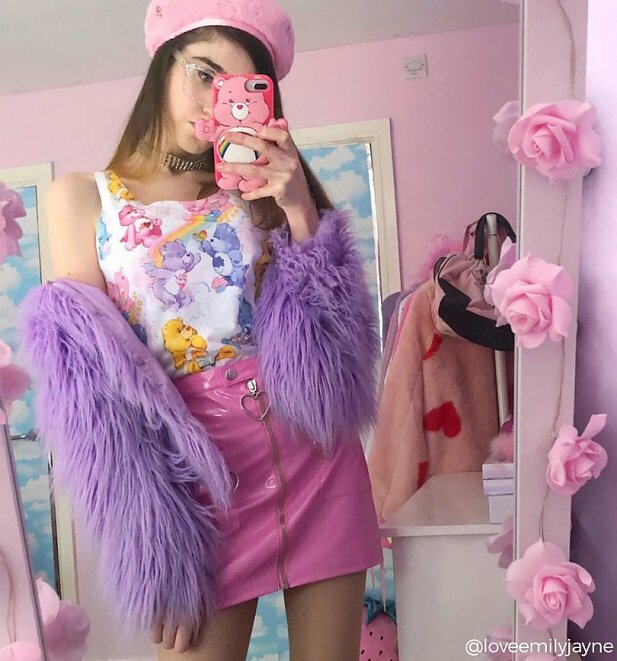 Adorned with pastel rainbows, fluffy clouds and all her best bears munching on sweet treats, it's packed full of alllllll the feels for any old school Care Bears fan. Oh and we couldn't resist throwing in an exclusive Tenderheart Bear enamel pin, because sharing is caring right? 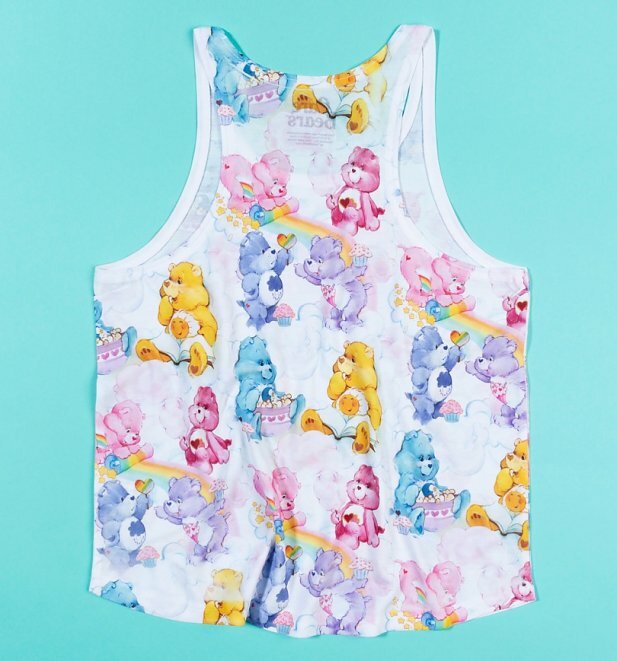 27183Womens Care Bears Sweet Treats Patterned Vesthttps://www.truffleshuffle.co.uk/product_images/love-emily-jayne_womens_care_bears_sweet_treats_clouds_patterned_vest_24-99_1_lister_new.jpg24.99GBPInStockGBP/t-shirts-and-clothing/women/t-shirts-and-clothing/t-shirts/80s/cartoons/t-shirts-and-clothing/t-shirts/vests/cartoons/care-bears/games-toys/white-off-white/truffleshuffle/t-shirts-and-clothing/t-shirts/allover-print/exclusive/kawaii24.9900If you spent a childhood with your head in the Care-a-Lot clouds, then boy, do we have the collection for you. 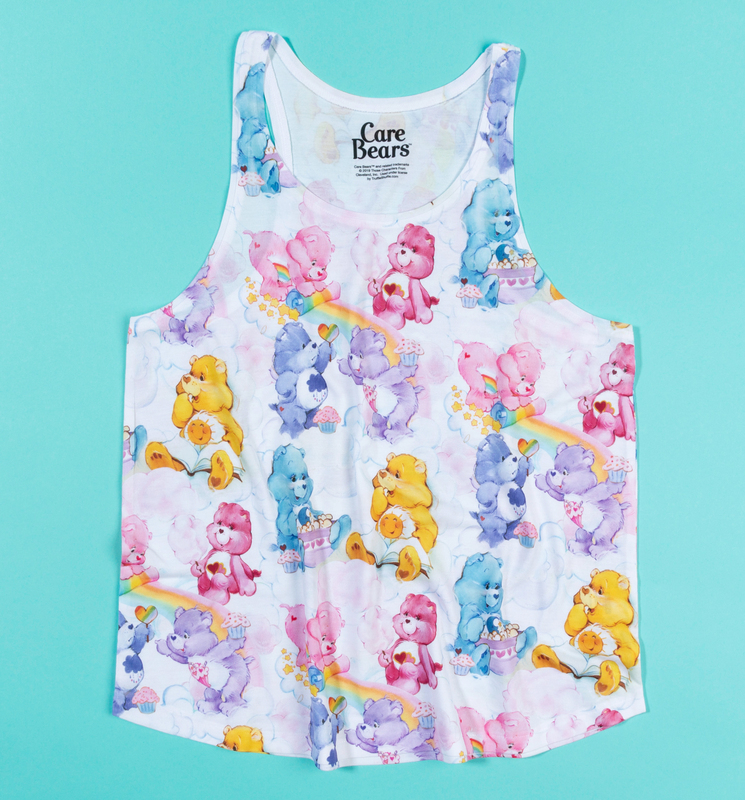 We've teamed up with three ultimate Care Bears fans to create a totally adorable, exclusive collection of dreamy tees and tops, inspired by favourite 80s furries and warm, fuzzy memories of the Kingdom of Caring. Get ready to relive the magic of these super-cute cuddlies - Care Bear Stares guaranteed!